Home Eco Friendly Guide	Has this Borneo's new-found leopard species diverge from its cousin 1.4 million years ago? Has this Borneo's new-found leopard species diverge from its cousin 1.4 million years ago? 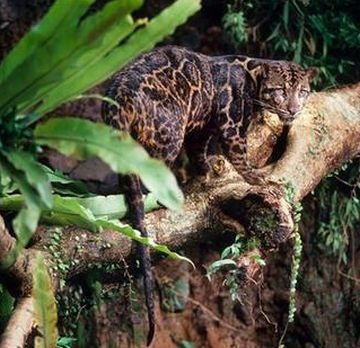 A bizarre type of animal that has been spotted on the Southeast Asian island of Borneo was, till date, believed to be a cousin of a leopard. But, on Thursday, the WWF has confirmed it to be a completely new cat species. American scientists have determined that the two populations of leopard and this new species diverged some 1.4 million years ago. To make this finding, they compared the DNA of this new leopard with its mainland cousin, according to the conservation group. The new species seems to be the largest predator in Borneo, having the longest canine teeth compared to its size of any cat. The animal can grow as large as a small panther. It has been estimated that there are 5,000 to 11,000 of these animals left in Borneo’s rain forests. And, these animals seem to be threatened by logging. The rain forests are believed to hold many more undiscovered species, according to WWF.